Star Trek: Deep Space Nine is twenty years old this year. To celebrate, I’m taking a look at the first season. 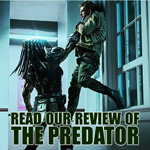 Check back daily for the latest review or retrospective. And here we hit what amounts to the rock bottom of Star Trek: Deep Space Nine‘s first season. 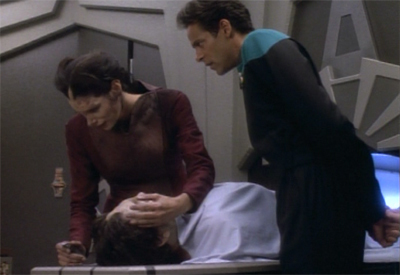 The Passenger and Move Along Home exist as the two weakest stories in this first season, and the point from which Deep Space Nine begins to map a path towards recovery, climaxing in the best final two episodes of any first season in the history of Star Trek. We’re a long way from that, and we seem furthest from it here. While Move Along Home is a legitimately bad episode, one with flaws that probably should have been spotted in any of the episode’s troubled development history, The Passenger suffers because it is the most bland and generic of the first season Deep Space Nine episodes. It accomplishes nothing, but it feels worse because its ambitions were so low. It’s the kind of story that could easily have been told on any Star Trek show, or any science-fiction series, but with no sense of local colour to give it distinctive flavour. 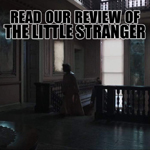 The Passenger is just as bland as the title makes it sound. It’s worth noting that this is the first season’s nominal Bashir-centric episode. I’ve discussed at length how Bashir is one of the characters who the writers struggled to write early in the show’s run. Only Jadzia Dax would be more problematic, posing a challenge throughout her time on the show. While the series eventually figured out how to tell stories centred around Bashir in the show’s fourth season, Bashir tends to work better as part of the show’s ensemble. His best scene in the show’s first year is the one from Emissary that has Kira calling him on his colonial attitudes, and he works best as a supporting character to O’Brien in The Storyteller. There are reasons that Bashir is one of the toughest characters to write on Deep Space Nine. The most obvious is that Bashir wasn’t originally created as a dysfunctional or broken character in his own right. He wasn’t a former terrorist like Kira, a mysterious alien fascist like Odo, a conman like Quark, a disillusioned widower like Sisko, or even an non-commissioned officer like O’Brien. 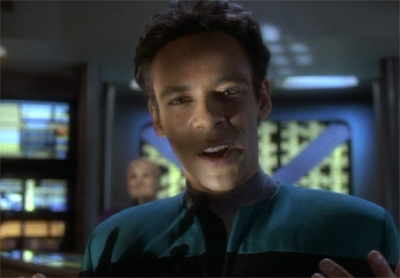 While Ronald D. Moore would add a significant amount of dysfunction to Bashir, to great effect, he was introduced as an over-enthusiastic and exceptionally talented Starfleet officer with a legitimate enthusiasm about his assignment. Bashir… he was a totally blank canvas. There was nothing… no one knew anything about him. When I arrived on the show to audition, he was some other guy. He was called Amaros. He was, I think, going to be a character of – I’m not sure – Hispanic or South American descent. There were like two lines about Bashir in the original bible, and sort of six pages for every other character of back-fill, of who these characters were. There had to be a doctor on the show, because there always was a doctor on the show, and they were just sort of scratching their heads about who this doctor was going to be. While the rest of the cast had clear histories (Quark and Odo long-term residents of the station, Kira a freedom fighter, Sisko widowed by the events of The Best of Both Worlds), Bashir seemed to arrive on the station fresh, without any weight or baggage. In short, he was the type of character who served on board the Enterprise during the first year of Star Trek: The Next Generation. He’s a very Roddenberry-style human character, the kind keen to lecture aliens about how quaint their customs are and how proud he is to witness and respect such a primitive culture. The only difference between Bashir’s attitude and the smug superiority demonstrated by the cast of The Next Generation during episodes like The Last Outpost and Lonely Among Us is that you sense the writers wanted Bashir to seem like an arrogant cad. In fact, Bashir was a character who explicitly had a long-term arc in mind. The studio executives apparently spent most of the first two years trying to fire Siddig from the show, because he was the least popular character, but the producers refused to, explaining that they had long-term plans for the character. Indeed, when Ira Steven Behr signed up for Deep Space Nine, one of his conditions was that O’Brien and Bashir would have to become real friends, after starting out hating one another. Indeed, The Passenger opens with a textbook example of Bashir dickishness. Returning from a trip with Kira, she politely compliments him on some solid doctoring. He launches into a spiel about how awesome he is, and how rare his insight is. “I just seem to have a talent, I suppose. A vision that sees past the obvious, around the mundane, right to the target. Fate has granted me a gift, Major. A gift to be a healer.” Classy. To be fair, Deep Space Nine‘s first year seems to specialise with opening teasers revolving around Bashir being a bit of a fool. Dax, for example, featured Bashir opting to stalk Dax to her quarters and then features the most inept rescue attempt in the history of Star Trek. Q-Less featured Bashir hitting on a beautiful woman by telling a story about his medical exams, while O’Brien looked on agony. Move Along Home features Bashir losing his dress uniform. It’s a bit of a theme. And this is sort of why Bashir works in small doses. He’s a self-righteous overachiever who doesn’t understand how his attitudes and his conduct might make other people uncomfortable. He is, as I am fond of saying, a character who showed up on the wrong Star Trek show. He’d fit in perfectly with the cast of The Next Generation, but he feels weird on Deep Space Nine. And that’s why he’s great as part of the group. Within the tapestry of Deep Space Nine, he works well. Put Bashir with any member of the ensemble and he generates a nice contrast. 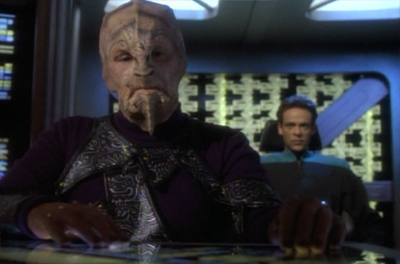 The problem is that Bashir is hard to get to work on his own for more than a scene. After all, The Next Generation had a great deal of trouble with character-based storytelling for its first two years, and I suspect the fact that so many of the characters were bland idealised paragons contributed to that. Bashir faces a similar problem, and it would take another three years before the show figured out how to tell a proper Bashir-centred story. We’d have to endure Melora and Distant Voices first. The Passenger was a show at the time I felt could have just as easily been about Geordi. 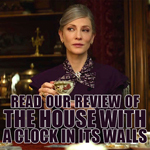 There’s nothing wrong with the episode; I just don’t have much of a feeling for it. It could have just as easily taken place on the Enterprise. It’s a story that requires a bland leading character as a vehicle, the kind that populated The Next Generation during the show’s first two years, and the kind that Bashir is at this point in the show’s run. 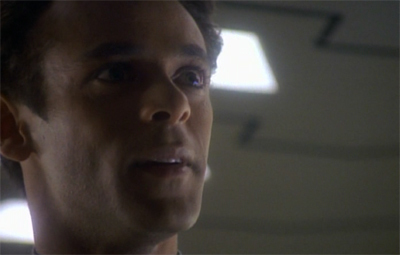 The Passenger isn’t even really about Julian Bashir. He’s just a body inhabited by the generic villain of the week. 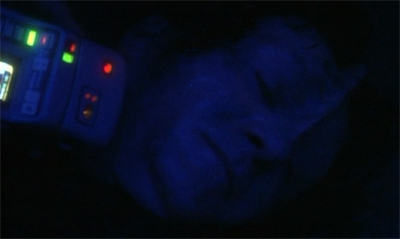 Body-hijacking monsters are a staple of genre fiction, and Star Trek has done the concept countless times. 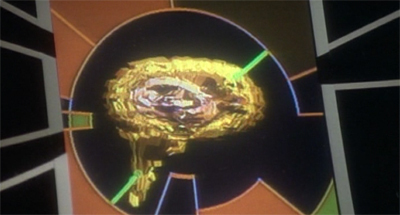 The first season of The Next Generation even climaxed with a bunch of mind-controlling parasites in Conspiracy. The older sibling had even done another body-hijacking plot with Power Play barely a year earlier. Part of the problem with The Passenger is that it treats this idea as relatively novel. It goes out of its way to telegraph what is happening to the audience, as if it expects the revelation that Vantika is still alive inside another body to be a major twist. The guy grabs Bashir in the prologue and declares “make… make me live!” It’s hardly the most subtle or unpredictable of twists the show could have made and The Passenger suffers because it takes so long for the characters to catch up with the audience. As a rule of thumb, it’s a bad idea to have your first plot focusing on a character involve them acting out of character. That’s why, for example, The Naked Now was especially ill-advised so early in the first season of The Next Generation. We hadn’t yet had a chance to get to know the characters at all, so we had no context to contrast their outlandish out-of-control behaviour. Here, we don’t really know enough about Bashir for his evil antics to carry any real weight. And, as a result, we know as much about him at the end of his first character-centric episode as we did at the start. It’s a bit of an aside, but it’s worth noting just how terrible Star Trek‘s doctor-centric stories tend to be, at least for the first three spin-offs. On the original Star Trek, McCoy’s first character-centric episode was driven by the fact his ex-girlfriend had been replaced by a salt vampire, and that’s before we get to the wonderfully titled For the World Is Hallow and I Have Touched the Sky. Beverly Crusher didn’t really get a character-centric episode early in the show’s run (Symbiosis comes close), but we all remember Sub Rosa. 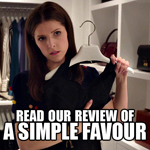 I’m hoping the rumours of a Seth Macfarlane commentary on the blu ray release come to fruition. Crusher’s replacement, Pulaski, got Unnatural Selection for her first character-driven story. It’s a plot that seems to run on the bizarro logic that “these people in this plot died of old age — and Pulaski’s kinda old, so let’s make this one about her.” To be fair, the later iterations of the franchise would do a better jobs. Plots involving the Doctor and Phlox were among the highlights of Star Trek: Voyager and Star Trek: Enterprise respectively. Sadly, The Passenger falls into the Unnatural Selection and Sub Rosa category of doctor-driven plots. To be fair, there are some very minor nice touches to the episode. I like, for instance, the fact that Vantika is shrewd enough to realise that Sisko is giving in too easily. “Oh, you’re far too ready to capitulate, Commander. Would you be planning a rescue attempt, perhaps?” There’s another nice moment at the end, after Bashir has apparently recovered, where Sisko just phasers him on the transporter pad. That’s some damn cold commanding, Sisko. Have I mentioned that I like Sisko? 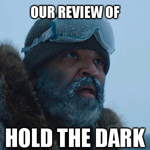 Unfortunately, as fascinating and as clever as that portrayal is, the script makes Vantika too prone to cliché villainy and dialogue – his sentences aren’t nearly as clipped and efficient as Siddig’s delivery would need them to be. That said, it’s hard to imagine any way of playing that role that might work better for Siddig, and at least his performance is more interesting than cheesy villainous scenery-chewing. I really liked the idea of this cop from the future who’s obsessed with chasing this one bad guy, and at the end it turns out that she herself really is that bad guy. No, wait. See, he’s being hunted by a cop. And he’s taunting the cop, right? Sending clues who his next victim is. He’s already holding her hostage in his creepy basement. 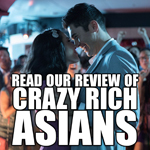 So the cop gets obsessed with figuring out her identity, and in the process he falls in love with her. Even though he’s never even met her. She becomes, like, the unattainable, like the Holy Grail. It’s a little obvious, don’t you think? Okay, but there’s a twist. See, we find out the killer suffers from multiple personality disorder. Okay? See, he’s really also the cop and the girl. All of them. It’s all him! Isn’t that crazy? Look, the only idea more overused than serial killers, is multiple personality. On top of that you explore the notion that cop and criminal are really two aspects of the same person. See every cop movie ever made for other examples of this. I like to think that the fictional Donald Kaufman provided a little polish to an early draft of The Passenger in some alternate universe. All joking aside, it is strange to think that The Passenger came from the same writer as The Inner Light, an absolute masterpiece of Star Trek and of genre fiction in general. 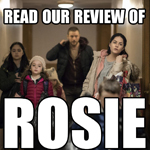 Between The Passenger and The Outer Light, his on-line comic book sequel to The Inner Light, it is interesting to wonder how much of the credit and blame lies with the original writer and the rest of the writing staff on a given show. There is a sense that the writers are also struggling with Quark. He does get a nice moment with Odo towards the start of the episode, where it seems like the show is treating his capitalism with some measure of insight and respect. “It’s good to want things,” he tells Odo, and it’s hard to argue with that philosophy. Needs and wants can drive entire civilisations, and there’s nothing wrong with catering to them and living off supplying them. 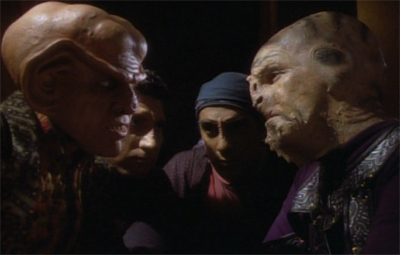 Deep Space Nine did a great job expanding the Ferengi moral philosophy and fashioning a credible culture out of a species that had been a one-note joke on The Next Generation. Unfortunately, the show also falls back on the “Quark is a handy way to endanger the station” storytelling trick. 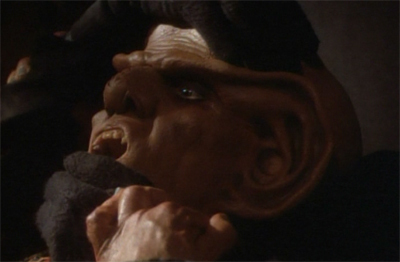 It’s something we’ve seen in episodes like Babel and Q-Less, where Quark’s greed inadvertently places the Ferengi at the heart of a station-wide crisis. However, The Passenger is really the first time that we can actually blame him for this. Quark knows who he is working for, and knows what the mercenaries will be doing – he knows Vantika by name. The most interesting part of The Passenger is a plot point that Deep Space Nine would actually do twice more before the show ended. The episode introduces the briefly recurring character of George Primmin, from Starfleet Security. He finds himself having some jurisdiction friction with Odo – much like Michael Eddington in The Search and Worf in Hippocratic Oath. It’s a nice hook, as you might imagine from the fact the show keeps coming back to it, but Deep Space Nine sort of messes the landing this time around. To be fair, a lot of the first season of any show is about figuring out what works and what doesn’t work. Making something that works work well is a lot to ask, and I think that a lot of the successes of the first season of Deep Space Nine come from merely recognising potential rather than fulfilling it. In this case, for example, Michael Eddington is far more interesting than Primmin ever could be. In a broader context, the Dominion War arc would be much more successful as a long-term arc than Bajor’s entrance to the Federation, but they key part of Emissary and In the Hands of the Prophets was realising that long-form storytelling was possible on Star Trek. So the storyline featuring Primmin and Odo at least has the right idea, even if the execution is a bit less than ideal. It also allows Sisko to clarify that Deep Space Nine is a very different show than The Next Generation, more concerned with pragmatic realities. “You don’t have to forget what you learned at the Academy,” he advises Primmin, “you just don’t throw it in anyone’s face here.” It is a bit of a shame that Primmin is pretty swiftly removed from the show and forgotten about. He’s not an especially fascinating character (the notion of anybody trusting James Lashley to make anything secure strains credibility), but giving Odo a Starfleet counterpart could have been a great way to play up the interpersonal tension on the show. After all, Odo’s place on the show is intriguing. Kira is there because there obviously needs to be a Bajoran liaison. However, it seems unlikely that a large interstellar organisation like Starfleet will trust a foreign official to completely oversee security on one of their installations. 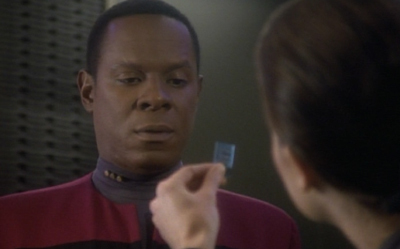 As Sisko clarifies, “But you have to realise that Starfleet is not going to take command of a station in deep space without assigning some security to protect its interests.” It makes sense, and there’s a hint here at the sort of strange political realities that must play out behind the scenes. 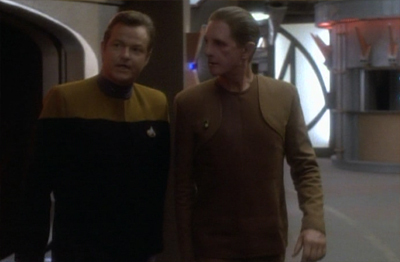 We find out that Odo remaining in his position was Sisko’s idea. 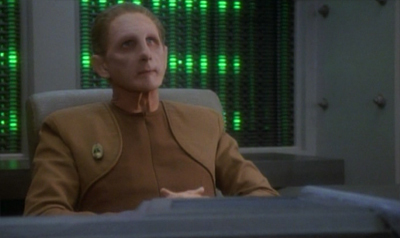 “You asked me to stay in charge of security when you took command of this station,” Odo reminds him. “I did not ask you.” It makes sense. 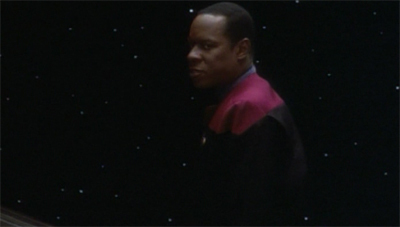 “Constable, no one knows this station like you do,” Sisko explains. 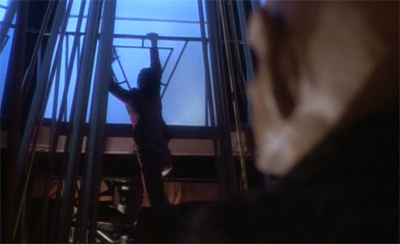 Given how hard Sisko tried to keep Quark on the station, it is fitting that Sisko would want another trusted example of continuity on the station during the transition. 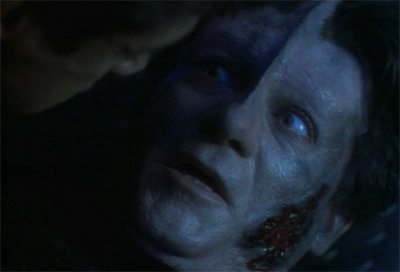 Odo’s past with the Cardassians was alluded to A Man Alone and would be further developed in Necessary Evil. Here, it’s simply clear that Odo is trusted by the Bajorans – and by Kira in particular. The root of their relationship would be developed in (again) Necessary Evil, but already came up in Past Prologue. It’s clear that Kira has a lot of faith in and respect for Odo. 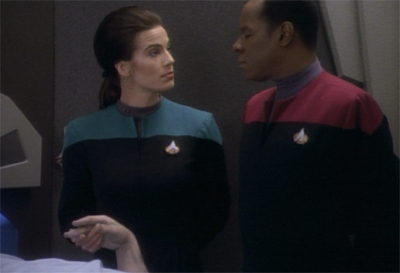 When Primmin and Sisko want to discuss a security matter, she offers, “I’ll get Odo up here.” When Odo objects to being called “Constable”, Sisko points out, “I believe Major Kira was the first to–” We also get Nana Visitor’s wonderfully understated reaction to Odo and Primmin both calling security at the same time. Sadly, a subplot with a little potential that would be played out much better two years later is all that really recommends The Passenger. These two consecutive episodes stand as the low-point of the show’s first season. Which, I suppose, is something. After all, there’s nothing here as sexist as Angel One or as racist as Code of Honour. The greatest sin of The Passenger is that its trite and cliché and bland, whereas Move Along Home is just a weird misfire. They make for pretty bad episodes, but there’s nothing offensive about them, and certainly nothing that actively undermines the Star Trek franchise as a whole. Well, you know, apart from that bit where everybody is cool with Kajada vapourising Vantaka’s remains, effectively summarily executing the guy. That is pretty much anti-Star Trek, right there. You’d imagine even discharging a firearm in that setting would be a big deal, let alone killing a defenseless and incapacitated bad guy. Still, while it’s a strange a moment, it’s not the absolute worst thing about The Passenger, which is really just a collection of bad things. Still, that’s mostly academic. The Passenger is still a waste of an episode, and one that feels flawed from concept through to execution. While Deep Space Nine never gets as completely lost as The Next Generation, Voyager or Enterprise during its first year, The Passenger is a point where it seems like the show might lose sight of its unique appeal. Thankfully, this nadir is relatively brief and the show will begin recovery soon. DId you find my blog to follow you I sent u the link a bunch of times. Well, as I say when I speak at sci-fi cons, I wrote 2 TNG episodes (“Inner Light” + “Starship Mine”) a pretty good DS9 (“Armageddon Game”) and another one so bad I won’t even mention its name (“The Passenger”)! I’ll take 59% of the blame, which is probably the same percent of credit I deserve for the others. Thanks for the comment, Morgan! Very pleased to meet you, although I think I may have tweeted at you about the lost blu ray commentary on Starship Mine. It goes without saying that I’m a huge fan of Inner Light and Starship Mine, and very fond of Armageddon Game – I think there’s a review of that up here somewhere. 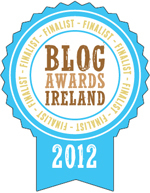 great reviews, just found your site and as a long time diehard niner I say well done and thank you. now excuse me I have some major reading to catch up on. Thanks Kyel! I hope you enjoy!